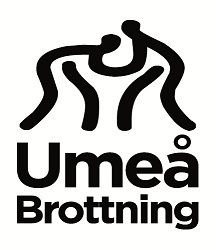 Umeå Brottningsförening – Umeå Wrestling Team – welcomes you to this site! What ever it is that brought you here we are happy that you have found us. Below follows some information in English about us. Umeå Brottning – Umeå Wrestling Team – is the only wrestling team in Västerbotten County and in the town of Umeå, Sweden. We are a Greco roman and Freestyle wrestling team for girls and boys, men and women, beginners and advanced wrestlers. All you need to do to join the team is to visit our training facility at Udominate Arena, Gammliavägen 5 in Umeå (click to open a street map) and talk to the instructors. You may try three training sessions for free before making up your mind. The fee is 650 SEK per term. Foreign wrestling teams are more than welcome to send us invitations to competitions and training camps or to simply come and wrestle with us in Umeå!